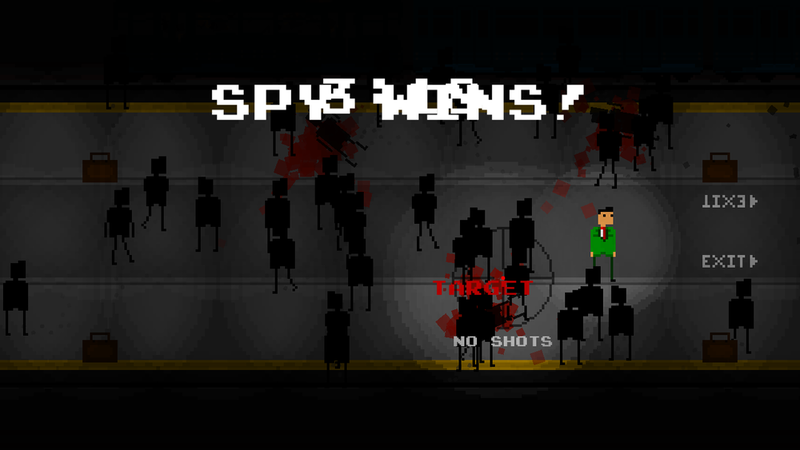 Spy vs Sniper is a game of espionage and deception. One player is the spy, who needs to complete objectives set before him. The other player is the sniper who needs to stop the spy at all costs. The spy needs to blend into the AI controlled crowd to avoid detection from the sniper and complete all the objectives before time runs out. Battle Arena is a fast paced local-multiplayer game where up to 4 players engage in chaotic action. With the assistance of different weapon types, saw blades, and gravity switchers, players fight to the death to get the most kills or to hold the flag for as long as they can. Space Shooty Game (name pending) is a fast paced twin stick shooter where players control a spaceship and battle to the death. Various weapon types and obstacles help the players to murder each other in this arcade style battler.